Final Fantasy Type-0 HD launch trailer: "We Have Arrived"
Square Enix has released the last trailer of Final Fantasy Type-0 HD, which is the launch trailer. Only one night to go for us European fans. North America and Japan already got the game. When you purchase the first print of the game, you'll also receive a download code for Final Fantasy XV: Episode Duscae. During a press conference this morning Square Enix has announced the future of its MMORPG Final Fantasy XI, which is entering its 14th year in May. The producer of Final Fantasy XI, Akihiko Matsui, has posted an announcement on the official website. 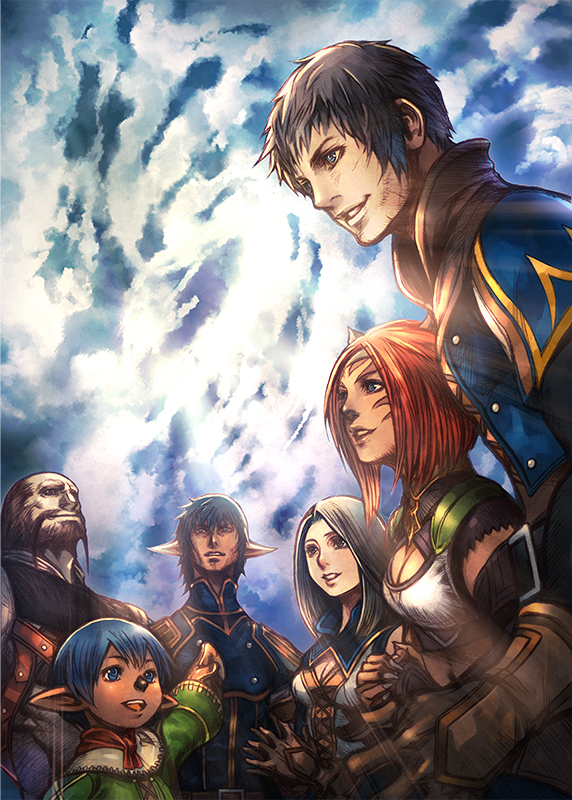 FINAL FANTASY XI’s major version updates will conclude with the November 2015 iteration, when Rhapsodies of Vana’diel is scheduled to reach its thrilling climax. We will, however, continue implementing ordinary version updates that focus on balance adjustments and bug fixes. Additionally, service for the PlayStation® 2 and Xbox 360® versions will end on or around March 2016, and we will focus our efforts on the Windows® version. Feedback posted on the forums and obtained through other avenues will inform quality of life improvements and balance adjustments, so do not hesitate to tell us your thoughts and opinions. On the PAX (Penny Arcade Expo) East, which was held in Boston (United States) last weekend, Square Enix has revealed a new trailer of Final Fantasy Type-0 HD. With only a week away from release, this might be one of the latest trailers of the game. Please mind that it can contain spoilers. Also footage from the Final Fantasy XV demo: Episode Discae is shown. Final Fantasy Type-0 HD will be available for PlayStation 4 and Xbox One in North America on 17 March, in Japan on 19 March and Europe on 20 March. Square Enix has announced that the PlayStation 4 version of Final Fantasy X / X-2 HD Remaster, which was announced last December, will be released on 12 May in North America, 14 May in Japan and Australia and 15 May in Europe. The PlayStation 4 version will contain a couple of new features: improved graphics, the option to switch between the original soundtrack and the remastered soundtrack and cross-save compatibility with the PlayStation 3 and PlayStation Vita version. 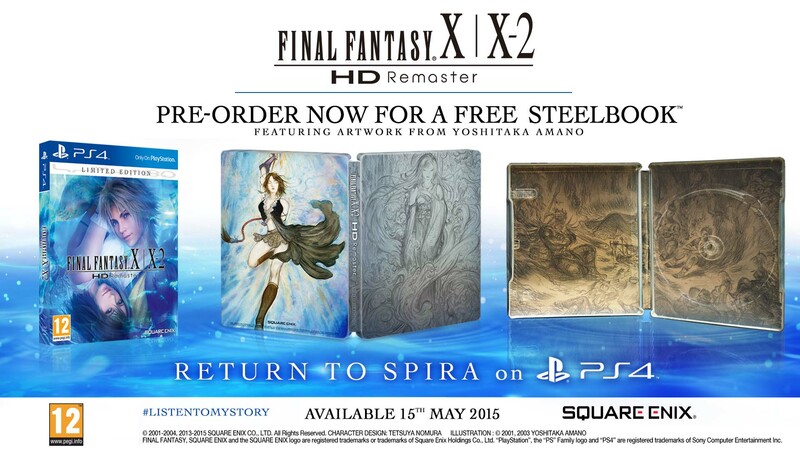 Square Enix is offering an limited edition to all European fans that will contain an unique steelbook featuring artwork from legendary artist Yoshitaka Amano next to the game.